A must if you can’t resist poking your fingers in things. Find a fresh surprise in every peephole. 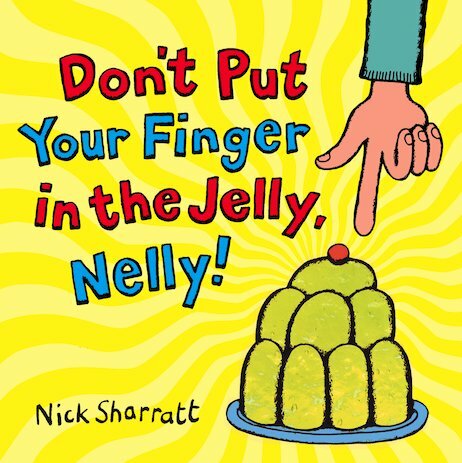 The book title might tell you not to put your finger in the jelly. But pssst! – that’s just what you have to do if you want a wild surprise! Look out: you might upset a jellyphant. Or: SNAP! You might disturb a hungry alligrator. Find out what’s hiding by poking your fingers into these tasty treats. 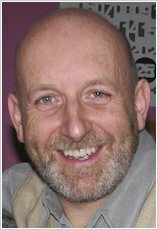 All drawn in Nick Sharratt’s super-bright style. Zany fun: expect loud squeals of delight. This book is brilliant for my little brother. he loves sticking his fingers through the little holes! I think this book is about for the ages 1-3.